Dinosaur BBQ Troy | Gordon. St.
Back to the Studio: Gordon St. at work on new “double A-side” single! If you missed our show on Saturday night at Firestone 151 or just want to relive it, head over to SoundCloud where band archive audio is streaming for a limited time. 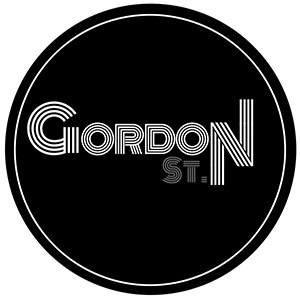 Band archive audio of Gordon St's performance at Firestone 151 from Saturday, 3/30/2019. Enjoy! Thanks to all who came out to Firestone 151 bar & restaurant last night and also to their incredible staff for their hospitality. Saturday night, March 30th we'll be in electric formation at Firestone 151 bar & restaurant from 9-12:30 playing all of your favorite originals and covers. We’re laying down tracks with Tim at The Recording Company but you can catch us this coming Friday night from 9-12:30am at Firestone 151!